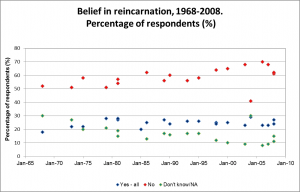 Belief in Near Death Experiences, 1997-2003: click here to download. Belief in Out-Of-Body Experiences, 1997-2006: click here to download. 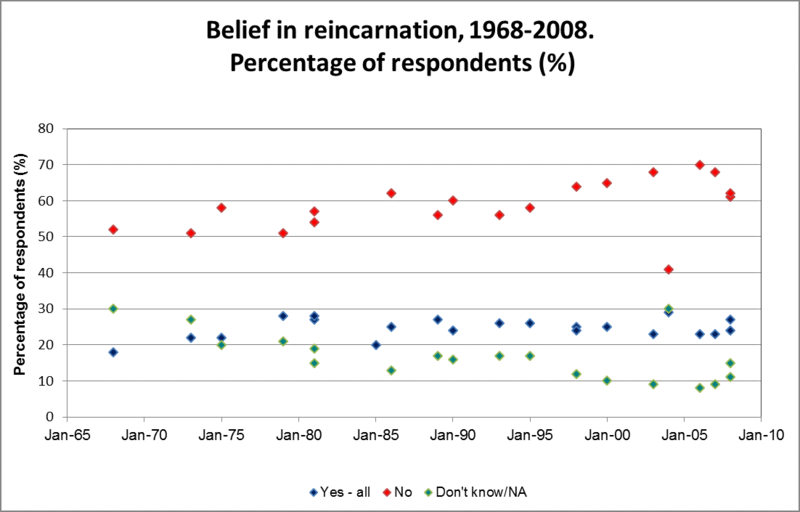 Belief in Reincarnation, 1968-2008: click here to download.